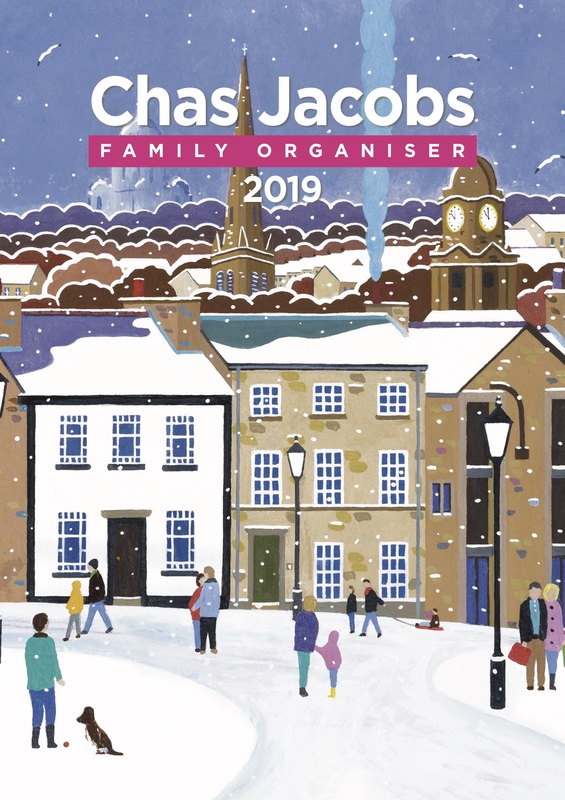 2019 Family Organiser – SOLD OUT!! NOW SOLD OUT – SORRY! Quality A3 calendar in a cellophane bag (gift mailing envelope NOT included). Inside: Colourful images taken from original paintings by Chas. Featuring five columns for your daily appointments. FREE DELIVERY IN UK ONLY. *(Please email for a quote for overseas delivery prior to ordering).